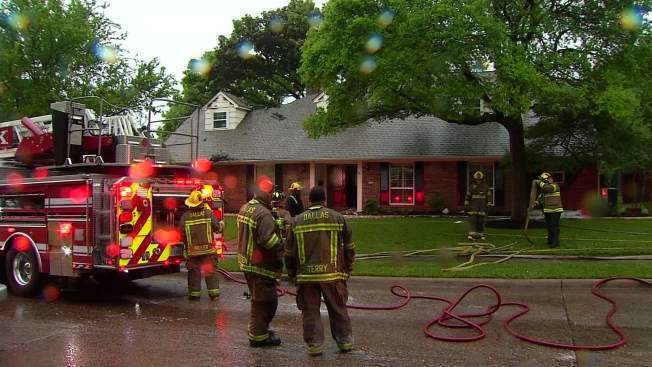 Dallas Fire Rescue was called to an early morning house fire on the 7100 Block of Briarmeadow Drive, in North Central Dallas. Crews arrived to find a 2-story home with the roof on fire. The two people inside the home escaped to safety. One of the people told firefighters they heard a loud and very close sound of thunder. Upon further investigation, it was determined the fire started from a lightning strike to the home's chimney. It took firefighters about an hour and a half to fully extinguish the fire. Investigators say the blaze was contained mostly to the attic and the home did sustain water damage.